It is unknown if Brandon Raub was detained for anything more than questioning. UPDATE: A previous version of this article said Raub was detained by the FBI. The FBI has told us their agents had “nothing to do” with his detainment and placement in a psychiatric ward. ORIGINAL: A former U.S. Marine who accused the government of lying about 9/11 and spoke of “The Revolution” on Facebook was detained on Thursday night, reports Renee Nal of Gather. 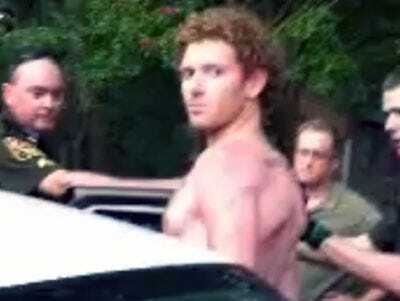 According to Brandon Raub’s mother, authorities from the FBI, Secret Service and Chesterfield County PD came to their door, questioned Raub about his Facebook posts – which are critical of the official story regarding 9/11 and refer to “starting a revolution” – then handcuffed him and placed him in a Chesterfield PD squad car before taking him to John Randolph Psychiatric Hospital in Hopewell, Va.
Raub’s mother said he returned about a year ago after serving in Afghanistan (after serving in Iraq) and did not suffer from PTSD. The Chesterfield PD told us that the situation “was an FBI matter and we were just there to assist them” so it could not provide us with an official reason why Raub was detained. 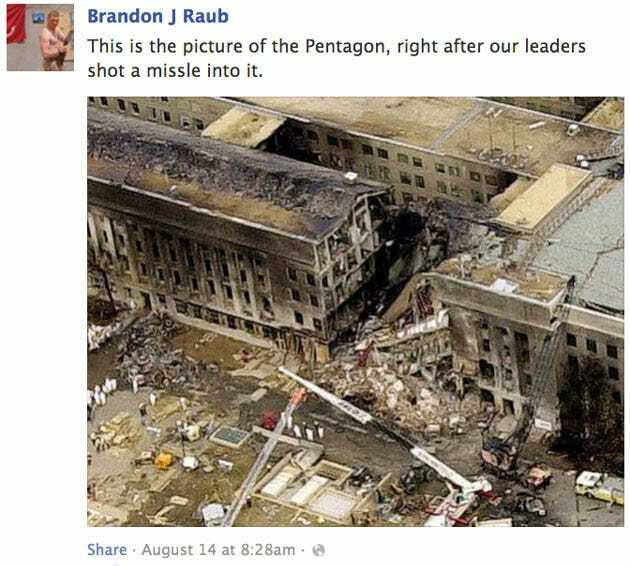 The most recent posts by Brandon J Raub – as opposed to Raub Brandon – include “AND THEY WILL SAY HE SAID IT TO THE NSA FIRST.” on August 16 and “Feelin like Pac all Eyes on me.” on August 15 and “The Revolution will come for me. Men will be at my door soon to pick me up to lead it. ;)” on August 14. Raub’s mother said Raub was told that he will see a judge on Monday but has not been told what he has been charged with and has not been read his rights.